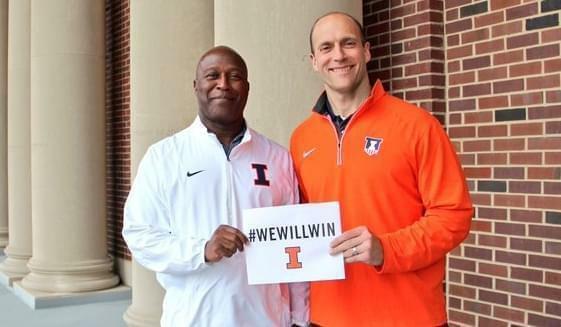 Newly-named U of I football coach Lovie Smith and athletic director Josh Whitman pose at Memorial Stadium in a photo posted by Whitman on his Twitter feed. The University of Illinois says former NFL coach Lovie Smith will be named the next football coach for the Illini. Athletic Director Josh Whitman will make the annoucement official at a Monday afternoon news conference. 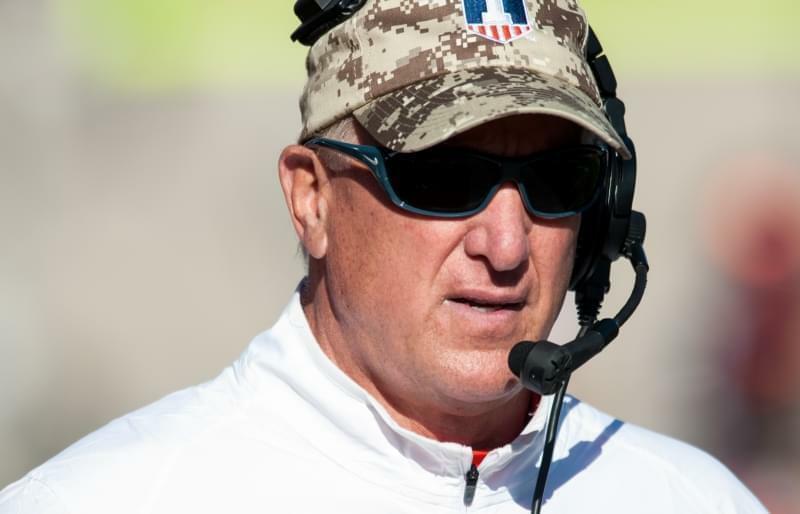 Smith, who was head coach of the Chicago Bears and the Tampa Bay Buccaneers, was announced as coach Monday and replaces Bill Cubit. 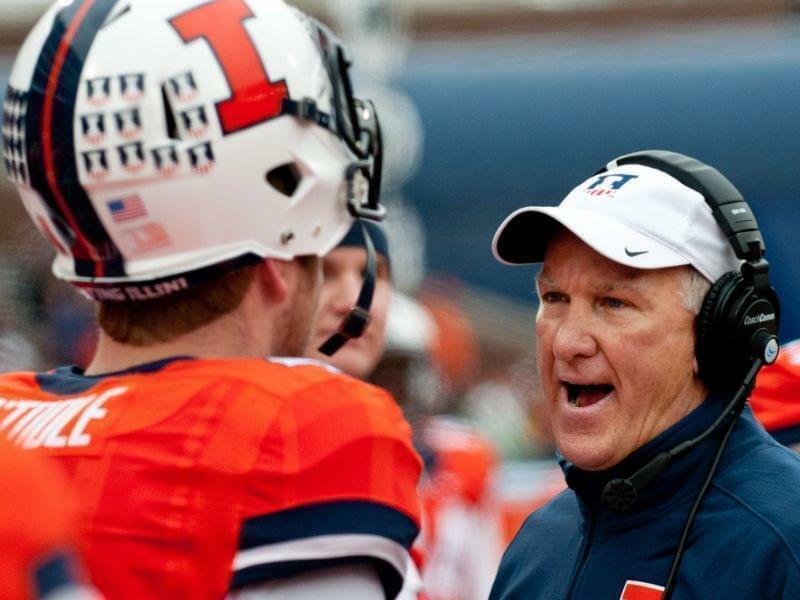 Cubit was fired Saturday after one season in charge at Illinois. Smith said in a news release that he did not hesitate to take his first college head-coaching job and can't wait to "start our move to make Illinois a contender for Big Ten titles." “We will play an exciting brand of football that will make our fans, alumni, student body and members of the University community extremely proud," he said. Smith coached the Buccaneers for two years and had an 8-24 overall record. He was fired in January. 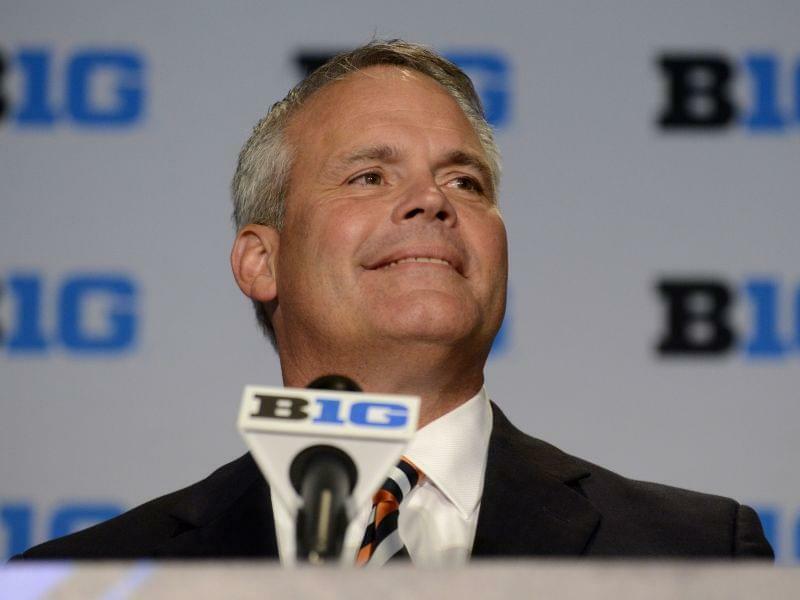 Smith and the U of I have a six-year agreement calling for payments of $2 million annually for 2016 and 2017, $3 million for 2018, $4 million for 2019 and $5 million annually for both 2020 and 2021. He will have opportunities for performance incentives tied to team academic and athletic achievements. Smith’s appointment will be presented to the U of I's Board of Trustees for approval on March 16. The defensive-minded Smith also took the Bears to the Super Bowl in 2006 where they lost to the Indianapolis Colts. The Bears fired Smith after the 2012 season. Smith returns to college football for the first time since 1996 after spending 19 years in the NFL. Smith spent his first 14 years as a collegiate coach, working at Tulsa (1983-86), Wisconsin (1987), Arizona State (1988-91), Kentucky (1992), Tennessee (1993-94) and Ohio State (1995). 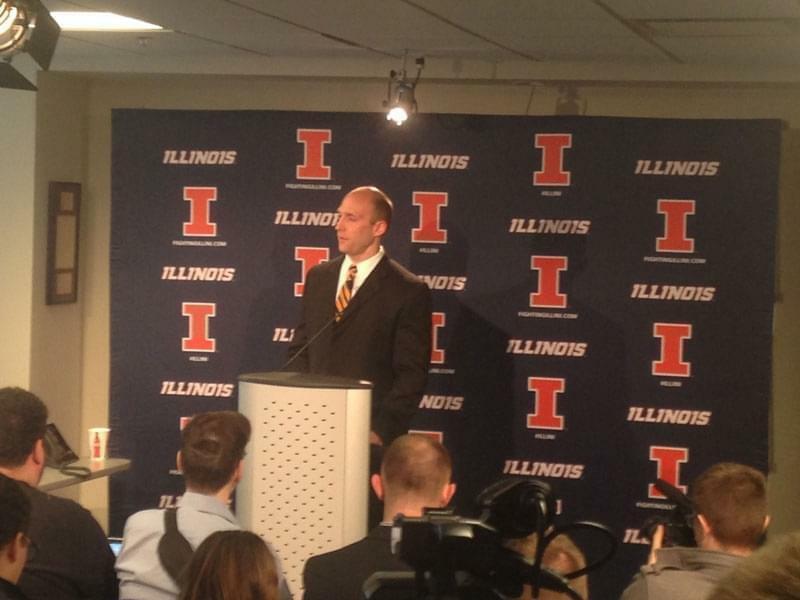 Cubit was 5-7 as Illinois' interim coach last fall.